My watchdog never needs walking. 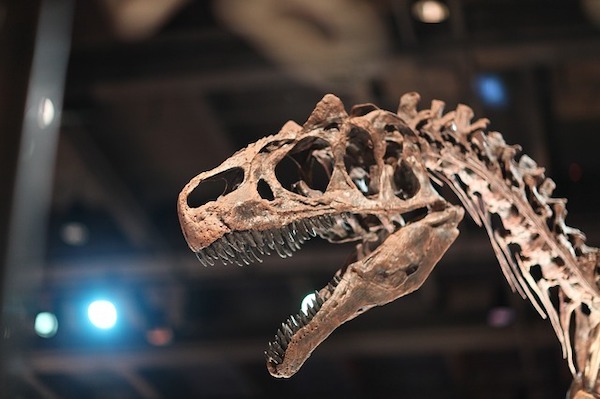 We usually think of fossils in the context of museums, but you might be surprised to hear that they're probably in your home without you knowing. The first way this happens is pretty obvious: if you've got limestone as part of the construction of your house. Limestone is almost universally fossil-bearing. In fact, many types of limestone are almost entirely made up of fossils. So, if you have limestone in your house, you've probably got fossils. Of course, fossils can be found in other rocks as well, such as certain sandstones and mudstones, though limestone is the most common fossil-bearing rock used in construction. Next is in kitty litter. Bentonite clays are used in countless industrial settings, but they also have one extremely common use inside the home—as the main ingredient of most kitty litter products. Bentonite clay is highly absorbent, making it ideal for this purpose. Another thing bentonite clay is famous for? Occurring near fossil formations. The Morrison Formation, the geological formation where Dinosaur National Monument is found, is also heavily mined for bentonite clay. There have also been plenty of reports of kitty litter mining companies in Canada knowingly destroying fossil beds for more profit. So... your cat might be doing its business in dinosaur bits. Third is diatomaceous earth. This fine white powder is frequently used as a cleaning product in the home. Applications of it can kill many types of insect infestations. The actual mechanism by which it does so is a little complicated, but it essentially dehydrates the insects to death. (Sometimes it's also used in kitty litter.) Diatomaceous earth is a sedimentary rock composed entirely of fossilized diatoms, a type of ocean-going microorganism that grows a silica-based shell. So, whenever your kids are drawing on the sidewalk with chalk, they're drawing with fossils. This week, my friend The Yard Ramp Guy discusses a gaggle of types of "sand pads" and then settles on one in particular that's part of his inventory. It's a fascinating read. Less than half the parts in Chevy and GMC trucks are made in America. The most American truck? 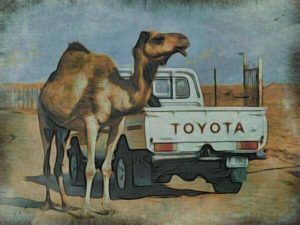 The Toyota Tundra, made with more than 70% American parts. I could make the obvious, cheesy joke about how a Japanese company is making the most American truck, but there’s a more important takeaway here. And it's starting to give us an idea how interconnected manufacturing and the modern global economy has become. We hear a lot about globalization these days, mostly in terms of trade agreements like NAFTA. We also hear a lot of talk that treats globalization like it's some brand new phenomenon. Actually, globalization dates back (at least) to the Bronze Age. Yes, ancient societies were hardly isolated citadels surrounded by barbarians. The Ancient Sumerian texts (some of the oldest in the world) fairly often referred to trade partners. We’ve managed to decipher some of these partnerships—including deals with ancient Middle Eastern states like Egypt. We couldn’t match the name of one trade partner, Meluha, though, to a location until recent archaeological discoveries. As it turned out, Meluha is actually the Harappan civilization. Also known as the Indus River Valley civilization, it was located in our modern-day India and Pakistan. Meluha was some 2,300 miles away from the Sumerians—a tremendous distance for this time period. As time went on, the level of globalization only grew. We've found Roman coins in ruins from ancient India, and we know goods from as far away as China made it to Rome. Medieval Europe was chronically short on coinage, since all their silver was going to India and China. Apart from the Roman Empire, Europe was an unimportant backwater on the global scale until the Renaissance and the Age of Sail. So, if anyone tries to convince you that globalization is something new, or that human history isn't one of perpetual interconnection, well...laugh. Laugh harder than you would have if I’d actually made some cheesy joke about a Japanese car company being more American than an American company. Geologists have a tendency to get really worked up about flood-related theories. Early in the history of the science, the Biblical flood provided the foundation for most every claim, and we approached all of geology in that context. Evidence built up over time until it forced the geological community to acknowledge that nothing of the sort had happened. In fact, they went so far as to construct a doctrine called uniformitarianism, which claimed that all past geological processes are the same as the ones operating now. 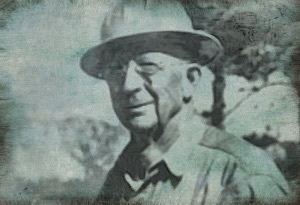 Then, in 1920, a geologist named J Harlen Bretz developed a new set of flood theory that would shake things up all over again. 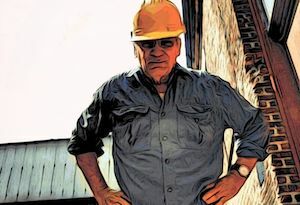 Bretz's research and field work led him to propose a series of absolutely catastrophic floods in the Pacific Northwest. I won't go into all the various iterations of the idea over the years, but the floods as we understand them now are far more destructive than almost any other geological events today. 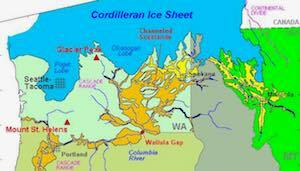 During the ice ages, the Cordilleran continental ice sheet dwarfed any glacier existing today. It and its several sibling glaciers around the world held enough ice to lower the sea levels by hundreds of feet. As the temperature gradually increased, however, a massive lake, around the size of one of the Great Lakes, began to melt into the top of the ice sheet, somewhere in Western Montana. Over time, cracks began to grow in the massive ice dam holding the lake in, until it finally shattered, releasing all the water at once. The floodwaters would have moved between 45 and 60 miles per hour, cresting at over 400 feet tall in the Columbia River Gorge and the Willamette River Valley. Flood waters carried enormous boulders as though they were twigs, deforming entire landscapes. The debris from the flood flowed hundreds of miles through Idaho and Oregon, and from there well into the Pacific Ocean. Oh, and there wasn't just a single flood. The ice sheet eventually formed a new lake and the cycle repeated itself as many as forty times. This all took place well before any humans arrived in North America. The geological establishment resisted Bretz’s ideas for years, but Bretz and his allies eventually won the day in a crushing victory. Decades later, Bretz complained that he no longer had any enemies to gloat over. On April 5th, 1815, Mount Tambora—in present-day Indonesia—began erupting. The noise made by these eruptions was loud enough to be heard hundreds of miles away. Some English garrisons thought it was cannon fire and sent troops around their islands to investigate. 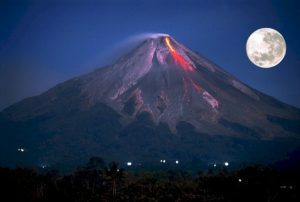 The eruptions continued until the whole mountain exploded from April 10th and 11th. Mount Tambora's eruption was the single largest in recorded history. So much ash was blasted into the sky that it was pitch black outside as far as four hundred miles away from the mountain. That was just the start of things, though. By 1816, the Mount Tambora’s airborne ash had spread through the atmosphere to the Northern Hemisphere, kicking off the Year Without a Summer. A dry fog persisted throughout the spring and summer (what scientists call a “stratospheric sulfate aerosol veil”) that blocked much of the sunlight and kept the temperature from rising to normal levels. Frost began killing off crops in North America, and heavy rain drowned crops in Europe. Massive famines cased severe social unrest and famine. Hundreds of thousands died in North America, Europe, and Asia. Hungary experienced brown snow, while Italy saw red snow falling throughout the year. The family of Joseph Smith was forced to leave Vermont due to famine, kicking off a chain of events that would lead to the founding of the Mormon Church. Karl Dranis was inspired by the lack of horses in Germany (no oats to feed them) to invent the velocipede, ancestor of the bicycle. Mary Shelley, trapped in a Villa with her husband and friends, decided to have a contest to write the scariest story. Her entry, Frankenstein, is commonly considered the original science fiction novel. I could go on listing consequences for a while. The rapid migration into Indiana and Illinois, leading to their statehoods. Spectacular sunsets. And on and on. Mount Tambora’s eruption changed the face of the world as we know it. Here's the thing, though: This isn't an anomalous event. It is a singular one, due to its size, but natural disasters and climatic events are major drivers of history, and are far-too seldom treated as such. The current civil war in Syria? One of the primary causes is a drought that led to crop failures. As much as we like to pretend that we're the bosses of the planet, we need to remember how big our planet is, and how easily it can devastate civilization with a slight shrug. Dear Yard Ramp Guy: I’ve read your quote-off challenge and take it on…only backwards, starting with “Z.” I’ll meet you at “M” in mid-April. 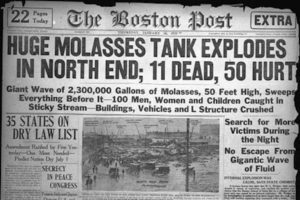 On January 15, 1919, a storage tank in Boston broke, releasing 2.3 million gallons of molasses. The resulting wave of molasses rolled through the streets at about 35 miles per hour. In all, 21 people died and 150 were injured. The actual failure can be traced to stress failures in the huge cylindrical tank. The steel was only about half as thick as it should have been and completely lacked manganese, which would have made it less brittle. The company that owned it skipped basic safety tests, like filling the tank with water before use to check for leaks. Compounding all of this was a rapid increase in temperature over the course of the day (almost 40 degrees), which contributed toward weakening the storage tank, resulting in the massive failure. Rescue efforts were badly hampered by the fact that the molasses didn't clear away quickly. It remained clumped up in knee-high pools, and the search for victims took more than four days. Workers finally used a fireboat to pump salt water from the harbor over the molasses, eventually clearing it away. Cleanup workers tracked molasses all over. Much of the city was perpetually sticky for weeks and months afterward, and the molasses stained the harbor brown until the summer. More than a century before, on October 17, 1814, a vat containing more than 162,000 gallons of porter ruptured in London, causing multiple other vats in the same building to collapse as well. All told, almost 388,000 gallons of beer were released into the streets. Only eight people died, due to the much smaller quantity of fluid than the Boston molasses disaster, less-crowded streets, and the lower viscosity of beer compared to molasses. The torrent of beer demolished two houses, severely damaged a nearby pub, and flooded a nearby wake. Otherwise, quite a few people sustained injuries when they ran outside to collect beer, making sure it didn't go to waste.